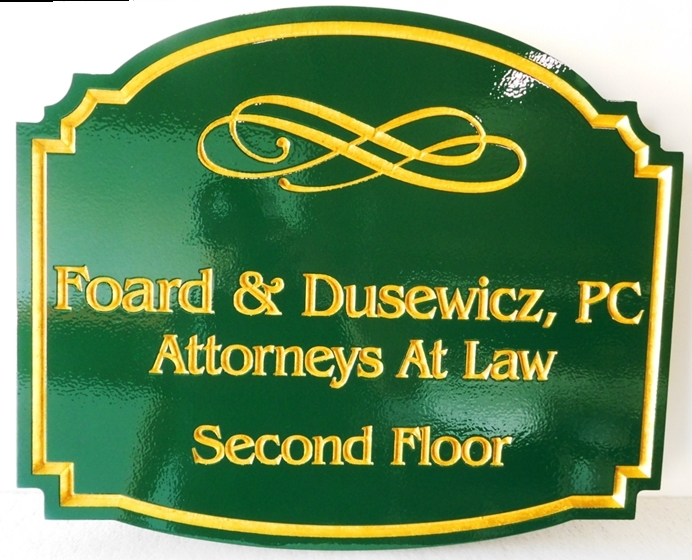 Above is a sandblasted in a sandstone pattern, HDU sign for Attorneys at Law. The sign features raised text, borders and design in 24-K gold gilt. The sign is painted with automotive grade Mathew paint, followed by a double seal of highest quality Mathews clear coat for added protection from the weather and UV radiation. For more information on design options, prices and delivery times, please call us at 951-698-8484 or email us at info@artsignworks.com, and our knowledgeable and a friendly customer service representatives will be pleased to help you.